Home / Fan Film Feature / Unfortunate Friday The 13th / Fan Film Series: An Unfortunate Friday The 13th Part 5! 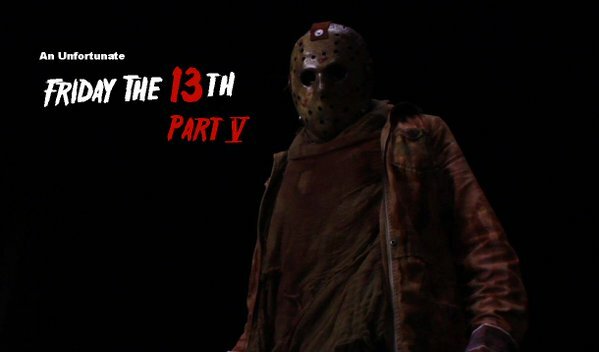 Fan Film Series: An Unfortunate Friday The 13th Part 5! Over the last few years, Red Dream Productions has produced some of the most fun Friday The 13th fan films released online. Up to this point, there have been four films produced in the ongoing series, called An Unfortunate Friday The 13th. The films have never been meant to be taken seriously, as they poke a bit of fun at the Jason Voorhees character and the events surrounding the deaths of his victims. With that being said, the films have garnered quite the online following as fans always anticipate the next film. After a few years on hiatus, Red Dream Productions has released the fifth film in the six part series. This penultimate installment of the Friday the 13th parody series continues for which we see Jason returning to his old ways following some words of encouragement from his long departed mother. The last installment of the series will be released on Friday The 13th this May, so keep an eye for that in the near future. In the mean time, watch the previous entries in the series to get caught up in the parody.